Last week, Hookit launched its revolutionary new product Spontelligence, giving teams actionable data and insights via a single platform to help them through every step in their sponsorship process. Every stage of the sponsorship cycle has unique challenges and demands. This article focuses on the first two stages — identifying (Research) and securing (Pitch) new sponsors. For any team seeking sponsorship, finding potential sponsors can be a long and laborious process involving significant investment of time and resources. However, prior to starting research on potential sponsors, it is essential for a team to have clarity about its own fans and audience. An in-depth understanding of the team’s message, fan base and demographics as well as its benefits and limitations will help in expressing the team’s value proposition more effectively to its sponsors. 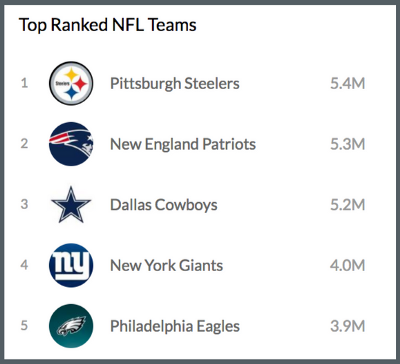 To help with this understanding, teams can use the rankings tool in the Hookit platform to compare their performance against the other teams in their league across dozens of social media metrics. Teams can identify the metrics they are best at and promote these strengths when pitching new sponsors. Once the team has identified its value proposition, including fan demographics, engagement, and best ways to reach them, the next step is to find and analyze potential sponsors. Brands sponsor teams and events to achieve certain goals — to gain more brand awareness within a particular demographic, attract more potential customers, etc. Whatever the brand’s sponsorship criteria may be, it is important for teams to identify what is important to a sponsor. Which entities does the brand currently sponsor? What is the brand talking about on its social channels? Which audience does the brand likely want to reach through sponsorship and can the team help the brand reach that intended audience? Progressive teams and corporate partnership / sponsorship sales groups have realized that having this information in one platform is key to efficiently identifying potential new partners and tailoring a pitch to each one. Spontelligence aids teams in discovering potential sponsors from an extensive list of brands, delve deeper and learn what is relevant and important to a potential sponsor and undertake all sponsor discovery through a single platform, saving precious team resources and time which can be invested elsewhere. Pitching and closing new partners and sponsors is key to continued revenue growth for any team. Using the team’s demographics data and sponsor research data gathered through Spontelligence, sponsorship sales groups can demonstrate that they have the fan base and audience relevant to that particular sponsor. 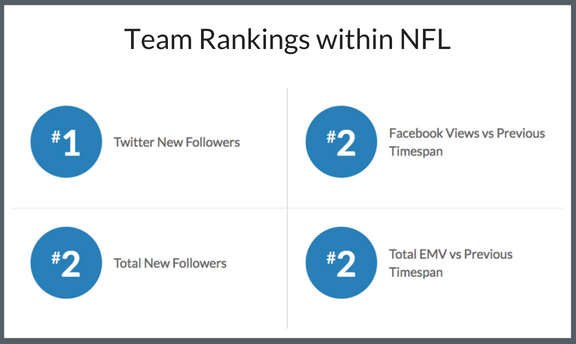 By benchmarking their own social media performance against specific teams within their league, teams can prove their effectiveness in promoting their sponsors as well as how well they would do for that new sponsor being pitched. With Hookit’s Spontelligence, teams can now clearly exhibit the value they bring to sponsors, proving the team’s understanding of what the sponsor’s goals are and how it can deliver those goals efficiently. Spontelligence provides intelligent data and easy to use tools in one place to help teams identify and pitch prospective sponsors and prove sponsorship effectiveness. Even prior to approaching a potential new sponsor, teams can identify and understand what is relevant to that sponsor and pitch them more effectively, resulting in better sponsorship agreements in which the team and the sponsor are aligned in their goals from the beginning of their partnership. Start your sponsorship journey with Spontelligence. Learn MORE. This is Part 2 of a 4 part series, which helps rights-holders navigate the different stages of their sponsorship cycle. Learn more about PART 1, PART 3 & PART 4 or click on Get Spontelligence Now button above, that details all steps in the series!